Now that the weather has cooled off I love adding layers to my outfits, and one way to do that is to layer multiple shirts together. 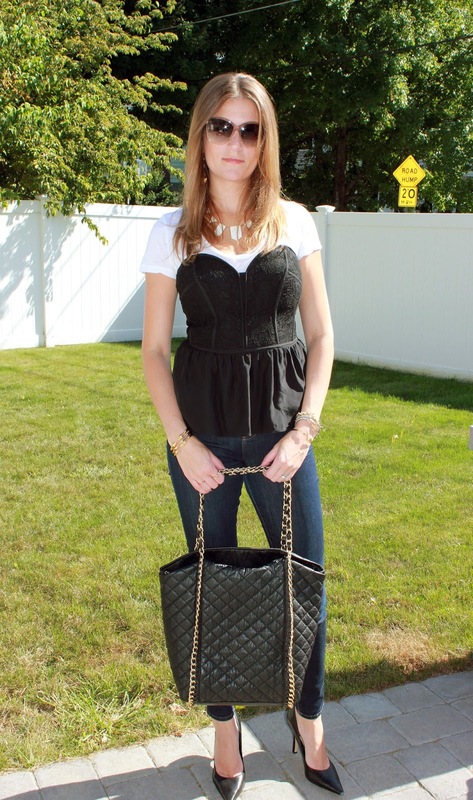 Here, I did this with my Parker corset top. It is a great top for heading into the city at night, but I wanted to wear it during the day, so I added a t-shirt to give it a more conservative and playful look. When the sun goes down and the day becomes too chilly for just a t-shirt, I throw on my bomber jacket for a complete layered look. I have been into quilted pieces lately and love how both my bag and jacket both have quilted details. Hope everyone is having a nice weekend. Thanks for reading.